The year 2017 has treated the audiences with various rooted films which have run exceptionally well at the box office. Be it with striking the emotional chords or witnessing a productive run at the box office, these films have won hearts of audience and critics alike. 2017 witnessed a trend where rooted films have performed well at the box office and garnered tremendous love from the audiences. Films like Raees, Badrinath Ki Dulhania, Toilet: Ek Prem Katha and Bareilly Ki Barfi have made a mark with their phenomenal run at the box office. Here is the round up of all the films based against a small town backdrop that has left a positive mark on the audience and box office. Raees: The film starring Shah Rukh Khan alongside Mahira Khan in the lead role was set against the background of Gujarat. The film opened to whistles and hoots in cinema halls by becoming the highest-grossing film of 2017 by minting 128 Cr net in India. Badrinath Ki Dulhania: This film brought to the audiences a romantic comedy shot in Jhansi. Varun Dhawan and Alia Bhatt were seen as the lead pair who are on a run to achieve their dreams. The film has done good business at the box office by raking 114 Cr net in India. Toilet: Ek Prem Katha: The film based on the issues of toilet sanitation faced by rural people. Toilet: Ek Prem Katha showcases Akshay Kumar who tries to woo his lady Bhoomi Pednekar by building a toilet. The film is running strong at the box office by so far total Nett Gross collection of 64 Cr. Bareilly Ki Barfi: The film which is touted to be the sweetest entertainer of the year has opened on a sweet note. The film has been garnering much love from all quarters. 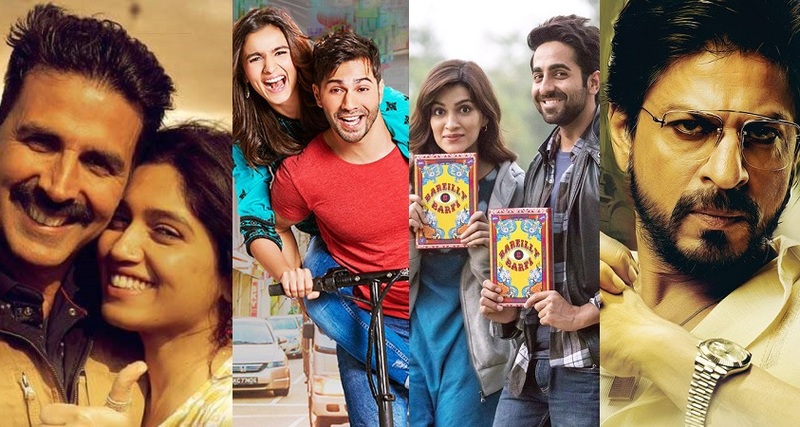 Bareilly Ki Barfi connects quirky rom-com revolving around the character of Bitti played by Kriti Sanon who is from UP. The film also showcases a love triangle between Ayushmann Khurrana, Rajkummar Rao and Kriti Sanon. With all these films audiences have got to witness the interiors and roots of Indian culture which are easily relatable with ones day to day life.